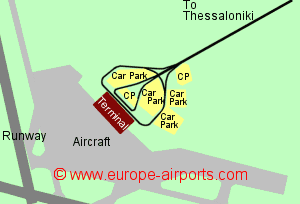 Find and compare the best prices from a range of well known car rental companies at Thessaloniki Airport. This is a free to use facility, enabeling you to book direct with the company quoting the price. 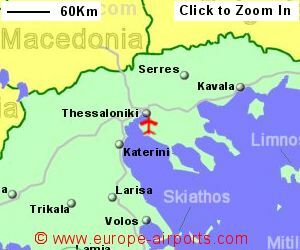 There is a bus service from the airport to Thessaloniki, departing every hour, with the 45 minute journey costing approximately 2 Euros. 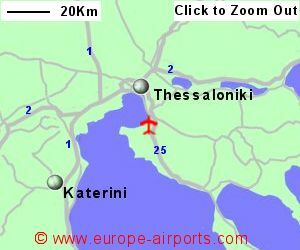 Thessaloniki airport has 6 bars/cafes/restaurants, 2 shops, banking facilities, a post office, baby changing facilities, and FREE WiFi Internet access. Thessaloniki airport handled 6.4 million passengers in 2017, an 11% increase from the previous year, and making it the third busiest in Greece, after Athens and Heraklion.